Weekend Historical Happenings: 11/24/12 - 11/26/12 ~ The History Girl! Vito Bianco will be your guide for the Downtown Denville Twilight walking tour at 5:00 pm, ending in time for the tree lighting at 7:00 pm. Check message at 973-625-1165 by 2:00 pm the day of the tour for update in case of bad weather. $5 per person; $3 for those 65 and older OR under 21 years-old. For further information call the Denville Historical Society & Museum at 973-625-1165. 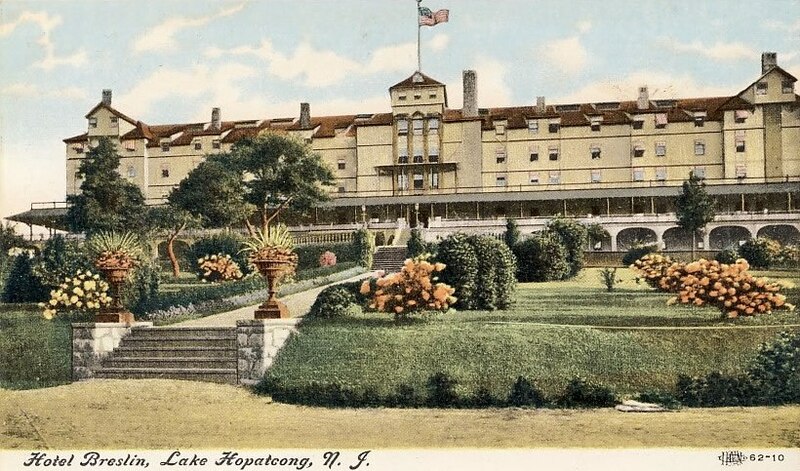 On Saturday evening you will have an opportunity to return to Lake Hopatcong's great hotel era when over 40 hotels and rooming house graced the lake's shores, and the lake competed against the likes of Atlantic City as one of the Northeast's most popular resorts. The year is 1925....Calvin Coolidge is inaugurated President as Americans listen on the radio for the first time... John Scopes is arrested for teaching the theory of evolution...The Great Gatsby is published... and New York becomes the world's largest city. Miss Alice Schuyler-Adams of New York City is planning her family's summer vacation. She has heard about a popular resort in the hills of New Jersey and is heading to the travel agency seeking further information. How would the family travel to this destination? Is there much to do there? And most importantly, where should they stay? Join Miss Schuyler-Adams as she learns about the lake known as the "jewel of the mountains" and the grand hotels located on its shores. Return to the era of the Roaring 20s for a fun-filled pictorial journey to the great hotel era at Lake Hopatcong. This program is being presented as part of the Lake Hopatcong Historical Museum's popular dinner series. It will be held at The Arlington, 420 Howard Boulevard, in Mount Arlington. For more information and tickets, please contact the Lake Hopatcong Historical Museum at 973-398-2616 or e-mail lhhistory@att.net. "Christmas Past at the Armstrong House" is this year's theme for the Annual Old Fashioned Holiday Weekends offered by the Montague Association for the Restoration of Community History (M.A.R.C.H.). All events will be held at the circa 1790 Foster-Armstrong House, located at 320 River Road, in Montague. The historical society will open this museum on three consecutive weekends for the public to enjoy the special holiday displays. Costumed docents will lead visitors through five decorated rooms on the first floor of the house. The house will open from 1:00 pm to 4:00 pm on Saturday, November 24th; Sunday, November 25th; Sunday, December 2nd; Saturday, December 8th and Sunday, December 9th. A special Candlelight Tour from 6:00 pm - 8:30 pm will be held on Saturday, December 1st. No afternoon tour that day. The last tour will be conducted 30 minutes before closing on each of the six days. All openings are held weather-permitting. Each room will have a decorated tree and stockings hung on all the fireplaces. Baking items for the holidays will be featured in one room, a train display in another, and a holiday dinner table with all the finery in another room, with pine cones and garland throughout all the rooms. The special displays will include antique rolling pins, cookie cutters, butter molds, iron-cast stag animals, Swedish tomtens, a running Christmas train set, pinecone wreaths, and antique ornaments. Come and enjoy the holiday decorations, select wonderful handmade crafts made by the historical society members, buy a book for a family or friend, and experience a warm welcome as you tour the museum. Cookies and hot cider will be served. There is no admission fee charged. Donations are welcomed and are used towards maintenance of the two buildings cared for by M.A.R.C.H. The Foster-Armstrong House is located at 320 River Road / C.R. 521 in Montague, NJ, about 1 mile north of the Milford-Montague Bridge. It is listed on the National Register of Historic Places and is within the Delaware Water Gap National Recreation Area of the National Park System. 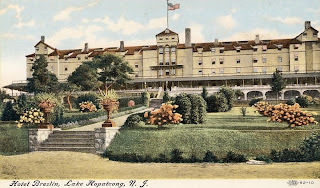 For further information visit www.facebook.com/MontagueNJHistory or call 973-293-3106. Whitesbog Preservation Trust will host a moonlight walk at Historic Whitesbog on Saturday at 7:00 pm. By the soft glow of moonlight, walk through the dark, mysterious pines, along white sugar sand roads, to the shimmering cranberry bogs. Listen for the haunting hoots of owls. The leader will offer stories of the people who built Whitesbog, the local "Piney" folk, and the more recent American immigrants, all of whom worked here to make it one of the most successful agricultural enterprises in New Jersey. Meet at the General Store at 7:00 pm. Guests should be prepared for a relatively vigorous walk, are encouraged to dress for the weather and bring anything that may be needed for your comfort, such as sturdy shoes, a light jacket, and a flashlight. Light refreshments will be served after the walk. Inclement weather cancels. Fee is $5 per person. Reservations by Friday, November 23 are required: leave name, telephone number and number of people attending on main voicemail, 609-893-4646, or email WhitesbogPreservationTrust@comcast.net. All proceeds benefit the Whitesbog Preservation Trust in its tireless efforts to restore and protect Historic Whitesbog Village and its surrounding lands. Whitesbog Village is located at mile marker 13 on County Route 530 in Browns Mills (Pemberton Township), NJ. To find out information and directions: call 609-893-4646, email WhitesbogPreservationTrust@comcast.net or visit www.whitesbog.org. Santa and Mrs. Claus will be on hand for a Sunday with Santa event on Sunday, November 25, 2012 from 1:00 pm to 4:00 pm at the museum of the Historical Society of Stillwater Township. Visits with Santa, horse drawn carriage rides, live music, homemade trifle and a bake sale will be the highlights of the event. The event is free and is open to the public. The event, including trifle and a beverage will be free. "Santa is our focus this year," said Carolyn Celli, who is chairing the event. "The children can enjoy Santa and learn about the museum and Stillwater's history as well." The society's museum is located at 900 Main Street, Stillwater, NJ. For additional information, please visit www.historicstillwater.org or call Betty English at 973-903-3941. The Historical Society of Stillwater Township is a 501(c)3 nonprofit organization. It is the mission of HSST to foster and promote an interest in Stillwater area history through the education and preservation of family information, local cemetery records, artifacts, sites and structures and to maintain a historical and genealogical library and museum.